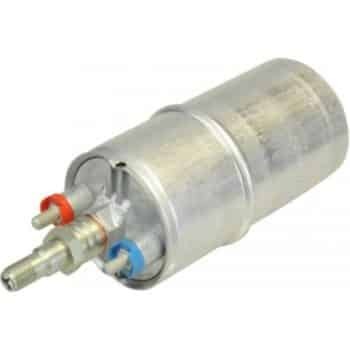 The fuel pump is an important component in your vehicle and it is usually essential for the functionality of an internal combustion engine system. In all modern vehicles, a fuel pump is a necessary component, while in older vehicles the function solely depended on gravity to feed the fuel. A fuel pump can improve the efficiency of fuel delivery by providing just the right amount of fuel to maintain the proper air-fuel mixture in the internal combustion engine. A fuel pump may get damaged or fail due to various reasons, such as using dirty fuels consistently, using the bad quality of fuel, using the wrong type of fuel that the engine is not designed for, exposure to the water or the moisture inside the tank, contamination of objects or particles within the fuel system and pump, and clogging of the fuel system or fuel pump. 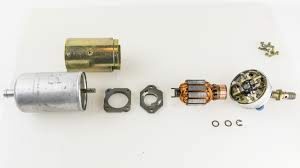 The fuel pump may also go bad because of frequently running your vehicle on a low gas tank, as this practice can be extremely damaging for the fuel system components and the fuel pump. Running the engine on the low gas tank can prevent the backflow of the fuel which can result in overheating and running the fuel pump dry. While installing a new fuel pump, it is also recommended that it should be installed while the tank is at least half full. The main function of the fuel pump is to deliver and inject the fuel into the combustion engine system. 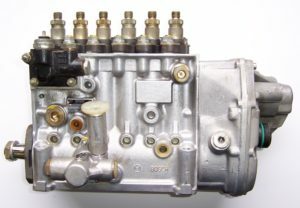 Mostly the carbureted engines utilize the function of mechanical fuel pumps that are mounted externally to the fuel tank and work under low-pressure conditions. Apart from carbureted engines, the fuel injected engines utilize two important pumps to pump the fuel which works electrically and improves the performance efficiency. A pump is installed in the fuel tank that supplies more fuel with low pressure, while another pump is installed near or inside the engine that pulls the required amount of fuel with higher pressure. For maximum efficiency and proper functionality, the fuel pump works under specific conditions that are electronically set to optimize the air-fuel mixture inside the combustion engine precisely. If more fuel is supplied to the engine, the air-fuel ratio is disturbed and all the fuel is not able to combust efficiently. As a result, fuel is heavily utilized and wasted, while the performance of the engine is also affected. On the other hand, if an insufficient amount of fuel is supplied to the engine the engine may experience stalling, misfiring and lean running. To optimize the proper supply of the fuel, the fuel pump electronically utilizes the data to supply the right amount of fuel to the engine. In this particular article, we will shed light on the many symptoms that can easily point towards a failing fuel pump. First you will find a table of the most common symptoms, causes and solutions, down below you will find more information about it. Cars need fuel to run just like us humans need food. It is easy to understand the importance of fuel and it is also easy to perceive that if proper fuel delivery is not ensured your car will not perform according to your expectations. If you slam the accelerator and you feel your car is hiccupping its way forward, you could have fuel pump problems. Perhaps the fuel pump is choking due to low-quality fuel or the fuel pump is not creating enough pressure to push the fuel forward into the system. Improper delivery of fuel to the combustion chamber will not create enough excitement in the chamber for an explosion. No combustion means the engine does not start at all. Even if it does, you might notice it took you a lot of time to achieve ignition. Another issue could arise as a result of improper fuel delivery to the engine. It might close down suddenly while running and might not start at all. If that is something you are experiencing regularly, it is time you scheduled a meeting with your local mechanic. This is not a symptom you will see immediately, however, if you cannot catch the failing fuel pump from other symptoms, this one will probably add itself to the list. Your engine will backfire and misfire regularly, confirming your doubts about fuel pump failure. Vehicles don’t usually excrete black smoke from their exhaust unless they are run on Diesel fuel. If your gasoline-run car excretes such smoke, there is usually some trouble in your engine. Among the causes of black smoke is a failing fuel pump. First off, not all cars have a turbocharger but those who do have one, have a bonus symptom. Turbochargers work by heating air to turn a turbine that sends extra power to the engine. Turbos take time to spool air – this time is usually known as turbo lag. So, if you feel there is lots of turbo lag, there could be some problem with your fuel pump. A faulty fuel pump will disrupt the inner workings of the engine. The biggest damage happens in the cylinder itself and the smallest components take up the most abuse. Yes, the spark plugs are spoilt before their time. So, if you feel your spark plugs have to be replaced too soon, you are looking at an ad fuel pump. Fortunately for you, the fuel pump issue is not a major one, so it is one you can fix yourself. However, we would recommend going to a professional mechanic for such work. When you are sure your car has a bad fuel pump, your first response should be to inspect the screen filter, The screen filter, as its name suggests, protects the fuel pump from dirt and dust. Therefore, it can get choked in no time. So, if you want free-flowing fuel through your engine, replace the screen filter. The fuel pump functions with the help of electricity, so if there is an irregular transmission of voltage through the car, your fuel pump will be one of the first components to be affected. Therefore, after diagnosing fuel pump failure, check your car’s battery and the wiring that takes power from the battery. There will probably a fluctuation in the voltage from the battery. Fuel leaves the fuel pump’s chamber through a small opening. This opening is managed by a regulator. If the regulator goes awry, your fuel delivery will be affected and in the long run with a higher/lower resistance, the fuel pump will be damaged. Let’s face it, the fuel we get is not always of the highest quality, which means sediments can get through to your fuel tank even after going through a stringent screening process. The only thing protecting your fuel pump from getting exposure from harmful sediments is the fuel filter. If the fuel filter is clogged, your car’s fuel pump will struggle to deliver fuel to the fuel rail and will cause the pump to work more than necessary. The location of your fuel pump can vary depending on the type of your vehicle and the manufacturing design. In most vehicles, the commonplace for a fuel pump is under the back seat of the vehicle, especially the cars. Since the location can be different for some vehicles it is recommended that you refer to the service manual provided to you by the manufacturer which will provide you with the exact location details. You can find the fuel pump in the tank by lifting the panel that is present behind the back seats. It is usually located on the top of the fuel tank. The average replacement cost for Fuel Pump is between $540 and $880. The parts cost between $$460 and $600, while the labour cost is between $80 and $290. Mostly when the fuel pump of your vehicle goes bad, the best option is to replace the part. In less severe cases the cleaning and washing can also fix the problem, but it is recommended to replace it. The fuel pump is an essential part of your vehicle and the replacement cost of the fuel pump is comparatively higher than many smaller parts. If you are buying a brand-new fuel pump, on average for most vehicles the cost for a new pump can be anywhere between $460 to as much as $600 only for the parts. On top of that, you will also require paying an additional labor cost if you are hiring a mechanic for the replacement of the fuel pump. The mechanic may charge you a price ranging from $80 to $290 depending on your vehicle type, the time it requires to replace the part and the mechanic that you are dealing with. Therefore, on average the total cost that you are looking at is anywhere between $540 to $880 for both the parts and the labor cost. For luxury vehicles or special vehicle types, the price can go higher. How to replace the Fuel Pump? Locate the fuel pump by referring to the service manual of your car. Replace the fuel line in case it is damaged or cracked. Match the new fuel pump with the old one. How to Diagnose a Bad Fuel Pump? Here is a step by step guide on how to diagnose a bad fuel pump in your vehicle. Do a drop test with the help of a voltmeter. You should get less than 1 volt of difference if the pump is good. Do a pressure test with the help of a pressure gauge. Ask someone to rev the engine to check the pressure on the pressure gauge. The pressure should also increase with the revving if the fuel pump is in good condition. The fuel pump can very easily be replaced on the most cars. In some cars, you have to take down the fuel tank to reach the pump and it can be pretty difficult. However, keep in mind finding a fuel pump compatible with your vehicle can be a painfully excruciating task, especially if it’s an old model vehicle. Let’s say you are in luck and you find one, the next step is to negotiate the price with the mechanic as fuel pump replacements can cost a lot of money. Keep in mind the mechanic will charge you after looking at the make and model of your car. So, take a proper estimate before you think about replacement. To get a general idea, we’d say you should expect to spend from $300 to $950 excluding the labor costs. Of course, these prices are subject to your car’s make and model as well as the part’s availability. Fuel Induction Service - What is it & Will it Help?